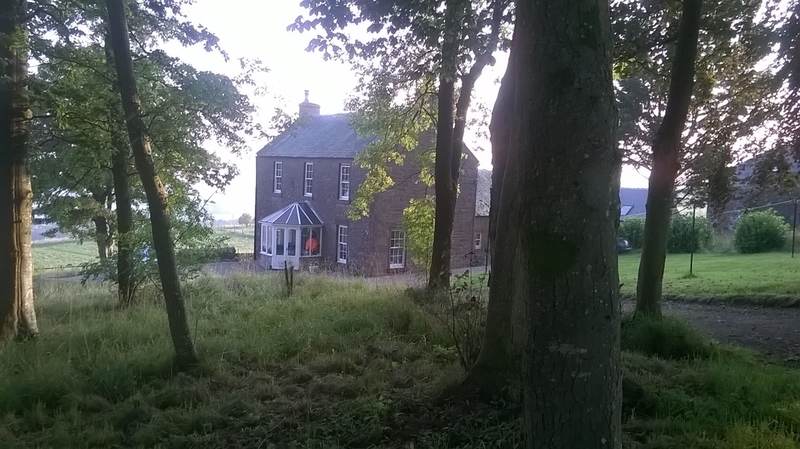 Kirklandbank farmhouse lies in a tranquil woodland setting near the picturesque town of Alyth. It sits on the edge of the Highlands with panoramic views over the Vale of Strathmore. Mountain bike tracks, walks and wildlife on the doorstep. The farmhouse accommodation sleeps 10 and is spread over two wings, each with a double and twin bedroom (twin rooms convert to superking doubles) making it ideal for two families holidaying together. In addition, the ground floor double room is ideal for restricted mobility guests. A cot is available for very young guests. Three out of five bedrooms are ensuite - one twin and double share a shower room. The farmhouse dates from 1812 and has been renovated to the highest standard with traditional features, modern facilities and contemporary soft furnishings. The sitting room has stunning panoramic views to the south over the grazing flock of black Hebridean sheep and to the east over the orchard with it’s wildflower meadow beneath. There is a woodburner, TV, DVD player with DVDs, Wii, iPod docking station and board games. The kitchen/dining room has ample space for family dining and has a woodburner and TV. The kitchen is equipped with everything you could need - large fridge-freezer, dish-washer, range cooker with double-oven, grill and griddle, washing machine, microwave and hand blender. All linen, towels, electricity, central heating, WiFi and the first basket of logs are included. The house has half an acre of private garden with a south facing lawn and patio, woodland garden and drying green. Guests may also use the orchard and the gated pond garden. There is also a games barn with table tennis and darts. The farmhouse is on a small farm worked by Marian and Simon with their two sons. There are chickens and a flock of pedigree Hebridean sheep on the farm. This breed is small and full of character with a black fleece. The sheep graze directly in front of the farmhouse and the antics of the lambs on a summer evening is a joy to watch. Guests are welcome to help on the farm: feeding chickens, collecting eggs, gathering the sheep and picking orchard fruit, in season. Our location is ideal for all kinds of outdoor activities. The farm lies well away from tarmac roads between Alyth Community Woodland and The Hill of Alyth and is a tranquil haven for wildlife. Roe deer, hares and a multitude of birds can be found in the garden and adjacent woodland. 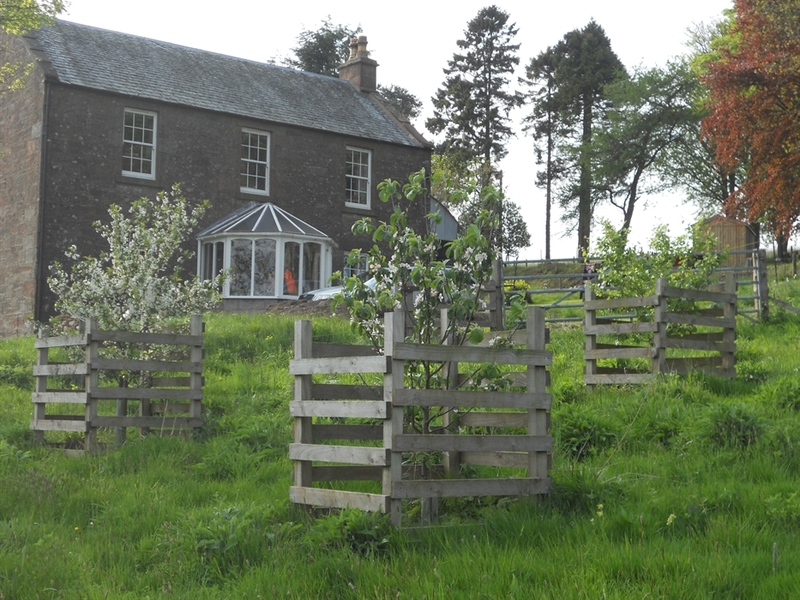 There are a multitude of walks directly from the farmhouse at the Community Woodland, Hill of Alyth and Alyth Den (a site of Special Scientific interest – SSSI). Marian, a biologist by training, is happy to advise on local walks and wildlife viewing. 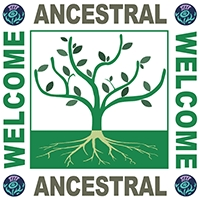 She is a trained walk leader and can arrange guided walks in the area. We are on the Cateran Trail, a long distance walking route, a short drive from the Angus glens and only 6 miles from the Cairngorms National Park where there is access to some of Scotland’s most spectacular mountains and skiing facilites in winter. Mountain biking is freely available at Alyth Bike Park in the Community Woodland. With the blue trail, skills loop and pump track there is something for all ages and levels of experience. 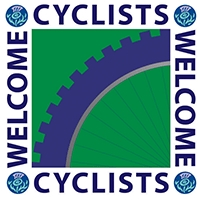 There are more adventurous trails on Alyth Hill and in the Angus Glens and bikes are for hire in Alyth. There are 3 courses within a 5 mile radius of Alyth. 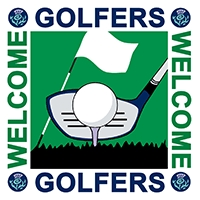 Alyth Golf Club, Glen Isla and Strathmore Golf Centre will keep golfers busy. 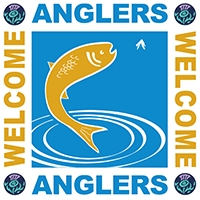 Fishing is on available on the Rivers Tay and Isla by permit, available locally. In season skiing is available half an hour away at Glenshee Ski Centre in the Cairngorm National Park. Secure storage is available on site for bikes, golf clubs, skis fishing rods or other outdoor equipment. 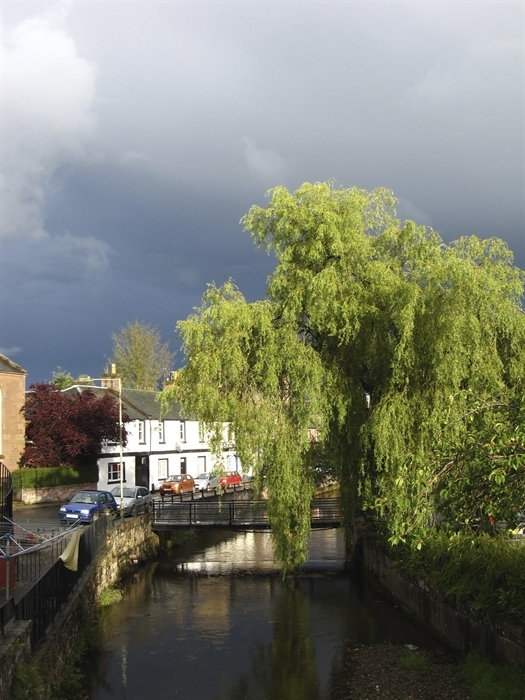 Alyth has a host of local history to discover - from the 6th century church dedicated to St Moluag, social history available in the Alyth Museum and Alyth family history project who will help find your local ancestors. In pre-history this area was home to the Picts and in nearby Meigle, there is a spectacular collection of Pictish carved stones. We are 10 miles Glamis Castle, childhood home of the late Queen Mother and a day trip away from Royal Deeside and Balmoral Castle, summer home of the Royal Family. Dundee, half an hour away is home to The Beano comic, Scott’s ship The Discovery and the new V&A Museum of Design (opening 2018). Perth, also half an hour from Alyth has superb Scottish shopping and fine dining and attractions such as Scone Castle and Perth racecourse. St Andrew’s, the home of golf and the pleasures of the Kingdom of Fife are less than an hour away. Day trips to the city of Stirling with it’s spectacular castle and the delights of the Scottish capital, Edinburgh, are easy to get to at just over an hour’s drive away. 10% off accommodation prices and free transfers to Dundee or Perth for guests using only public transport to travel.